On June 28th I will be taking part in the Wimbleball Half Ironman. This consists of a mile and a quarter swim in Wimbleball lake, a 56 mile bike around Exmoor and finishes with a half marathon. My training is going really well and I have entered a few races to prepare me for this event. I came third in The Big T long triathlon on 4th May and 2nd in the brutal Y Fenni – Blaenafon triathlon on 10th May. I have decided to do it for the charity Scope and fund raising is going well, but if you would like to sponsor me then any donation would be greatly appreciated. 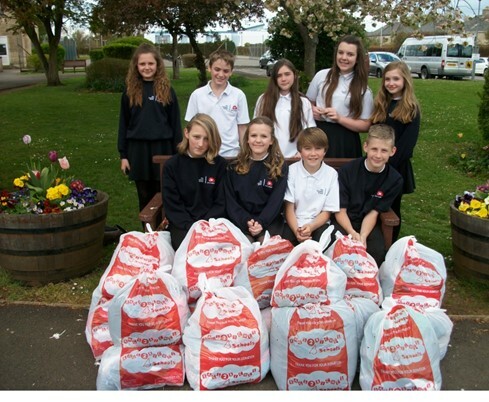 Many thanks to everyone who donated a bag to our Rags2Riches recycling scheme. We are delighted to announce that we collected 780.8kg and made a total of £507.52 which we could not have achieved without your support. If you want to get creative, Making Room Art Club is open each Thursday 3- 4pm. You can bring along your own projects, join in on group making projects, or get experimental with the heaps of junk we have available. This is a good opportunity to flex your creativity with the help of a professional artist and all the advantages of a studio space. Mazy Bartlett welcomes all ages and abilities and is happy to share her extensive knowledge of art and craft practises. This session is also available to people outside of school so if you have brothers/ sisters/ friends/ parents or carers that would enjoy an hour of messy fun, please bring them along. Art Club commences the 2nd week of term and finishes on the last Thursday. The Making Room is asking for a donation of plastic toys – we are looking to replace the bottles on our spiral sculpture and thought plastic toys would make a great new piece of art. 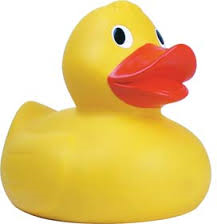 They need to be hollow and about the size of a rubber duck ideally, however we are not fussy, and the brighter the better. Please bring donations to the school reception, and thanks in advance. Iceland World Challenge Fundraising Event – one week to go! 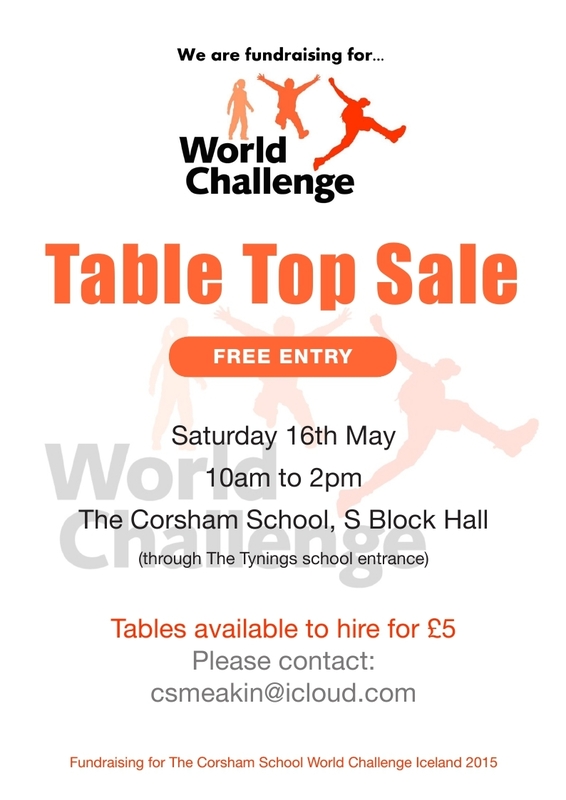 Year 9 students, who are doing the Iceland World Challenge, are holding a Table Top sale to raise money. Please come along to support them or you can rent your own table space. Refreshments will be available as well. Please email csmeakin@icloud.com for more information. Please find below an electronic copy of the holiday programme. First are making changes to the fares and tickets available on Service 10, which is designed to bring them more into line with the fares and tickets available on our extensive commercial network. While we will no longer offer specific 10 journey tickets for Service 10, our new day tickets for Service 10 will offer good value for money and are a viable alternative for the majority of customers. We are currently planning some changes to our network in the Corsham area and hope that Service 10 will become more integrated into the network and therefore improve the overall service to our customers. Faresaver currently operate a contracted trip from Gastard, Monks Lane through Neston on to the School. This contract still sells 10J tickets and they have no date expiry (within reason) so technically, if the student buys the Faresaver 10J ticket (and travel on the first morning with Faresaver), it will be valid for subsequent trips on First bus 10 (this is because the two contracts accept tickets over common points i.e. Neston), subject to capacity of the bus. A caveat to this is that it will only applies if there are no changes to the contractual arrangements on Corsham Town contract (i.e. it remains a contracted bus service). The first ever Corsham Means Business Show takes place on Wednesday 18 March, from 12.30pm, at Hartham Park. Over 50 exhibitors –from start-ups to major businesses – will be at the Show, plus you can find expert advice, seminars, guest speakers and more. Free entry. 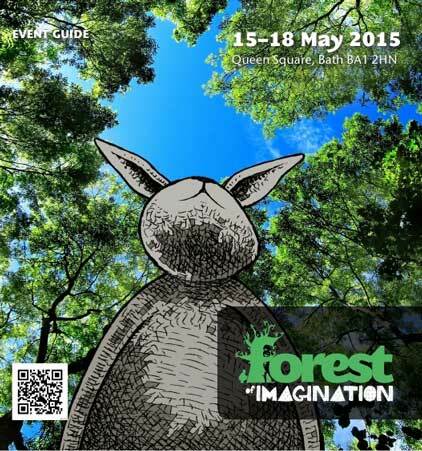 Pre-register as a visitor and gain access to a database of over 1200 local businesses. 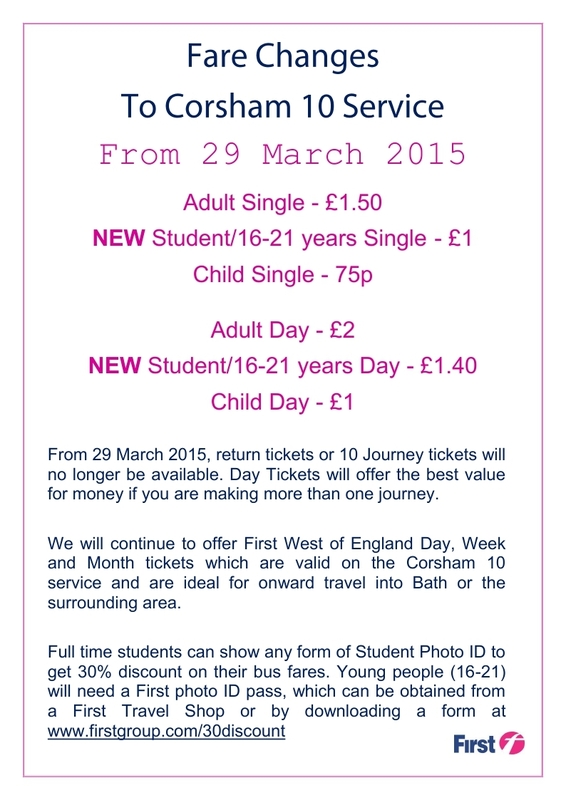 For more information, visit www.corshammeansbusiness.co.uk. This year’s Walking Festival is a three-day event that features 22 walks, with something for all ages and abilities, social events – and special guest David Hempleman-Adams. For more details visit www.corshamforwalking.org.uk. The event is part of The Pound’s Summer Festival, so you can find information, and book, at www.poundarts.org.uk.